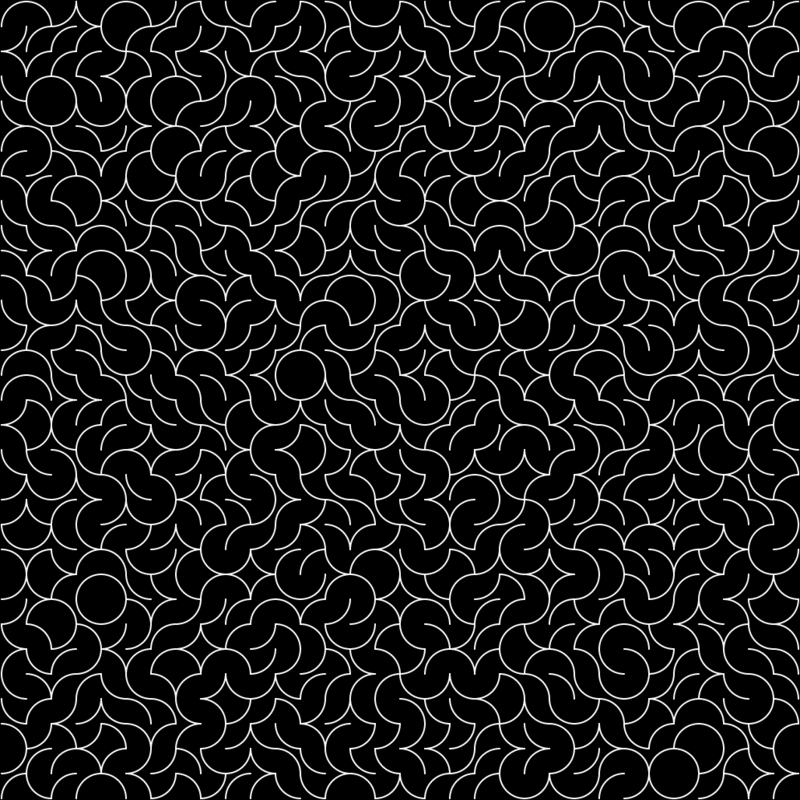 Sol Lewitt was one of the founders of Conceptual Art, and while I would not put myself exactly in that camp (the explanation for which will have to wait for another day), it is only fitting to have something here related to his work. Interestingly enough, after I did this page, I came across an earlier, closely related work by Casey Reas. 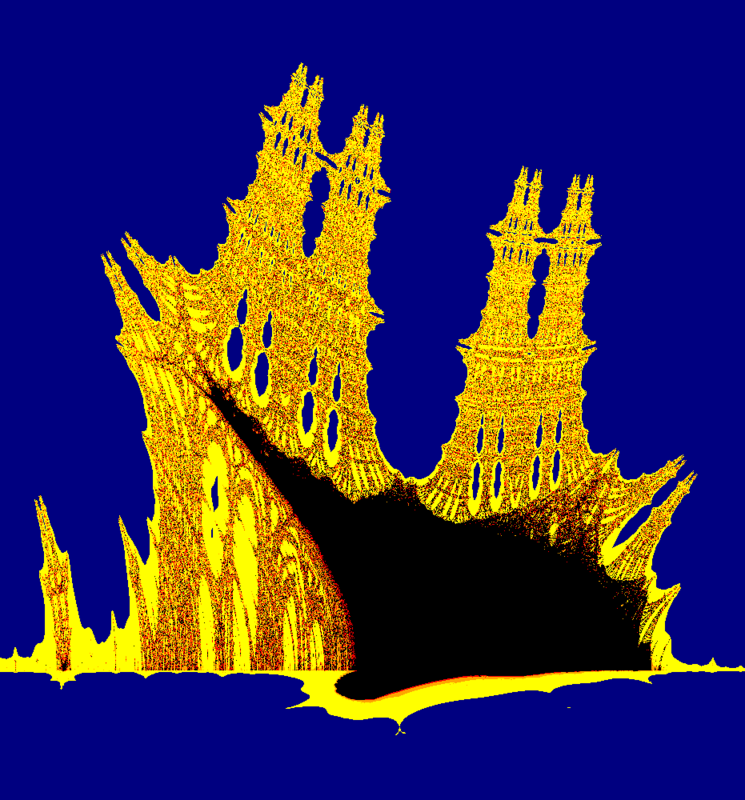 Reas is one of the inventors of the Processing programming language, which has inspired me, and which I have used for some of my Revisualizing the Visual projects. I hadn't looked at fractals in a long time, but I found this one, along with many other wonderful examples, on Paul Bourke's pages. The name and our reactions to the visualization are an indication of how strong our inclination is to interpret what we see in terms of familiar patterns and concepts (pareidolia). Although Wikipedia (and other sources) say that pareidolia is the recognition of a pattern "where none exists", that seems too strong, to me. While certainly there is no intent to create the patterns seen in the objects, pareidolia seems different from illusions, which typically do not rely on our pattern recognizing abilities. 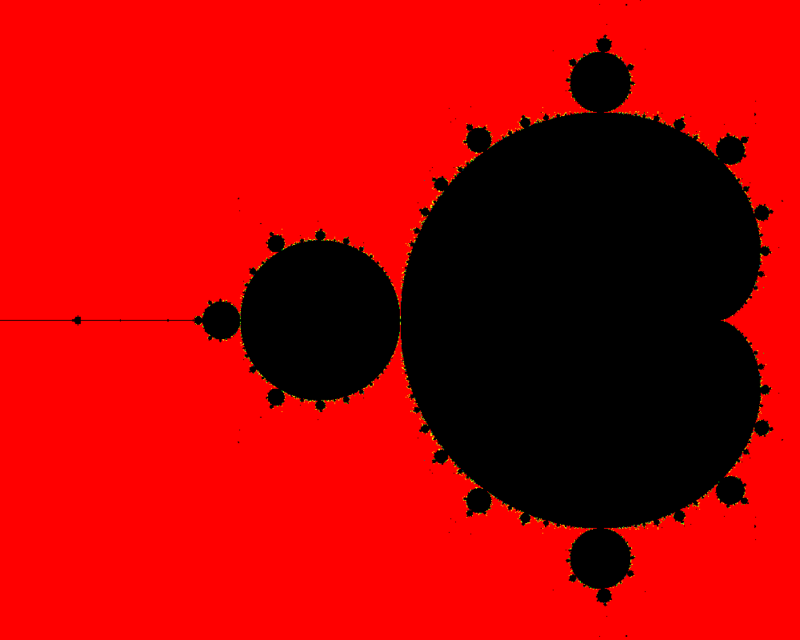 The Lorenz attractor is another classic, and like the Mandelbrot set, it is almost obligatory to create your own version. The examples include Lorenz's original one, as well as some more unusual ones, from my own explorations. 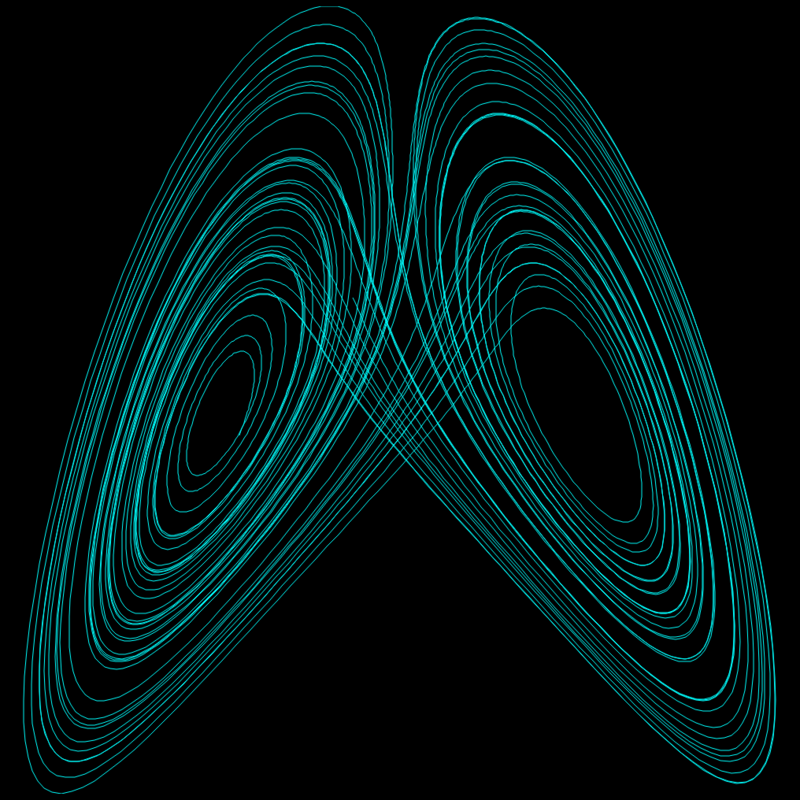 Lorenz's work on this attractor led to the coining of the term "butterfly effect" — the idea that a small change in one place and time can lead to large differences in another place and time. The Wikipedia butterfly effect page also mentions a story by Ray Bradbury with a similar idea, but almost a decade before Lorenz's work. I still remember that story. Some things just call to you. 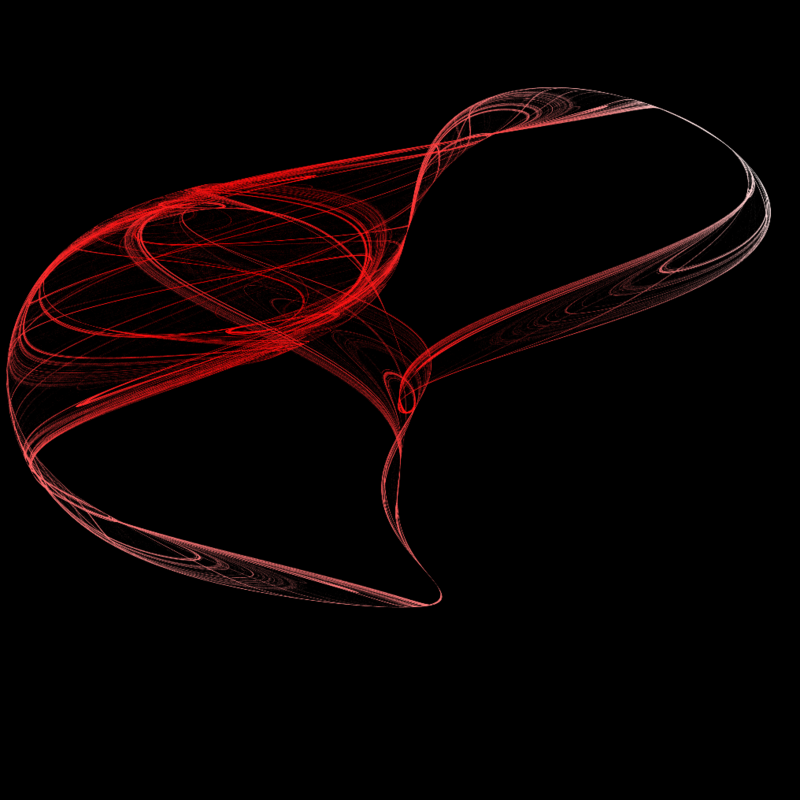 When I first saw the De Jong attractor on Paul Bourke's page, I knew that I would eventually create my own version. And I did.